A baby wombat who might have died with his mother on the side of the road is safe, thanks to the quick thinking and heroic actions of two men who just happened to be driving by. Dmrenzo Kotze and Chris Dimasi of Craigmore, Australia, noticed the body of a wombat who had been struck and killed lying in the middle of the highway. They pulled over and were carrying the wombat's body to the side of the road when they thought they saw the animal's stomach move. 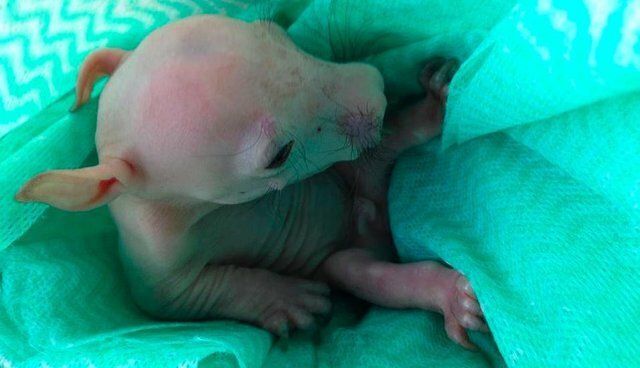 Concerned that there might be a baby wombat in need, they rushed home to get a knife. 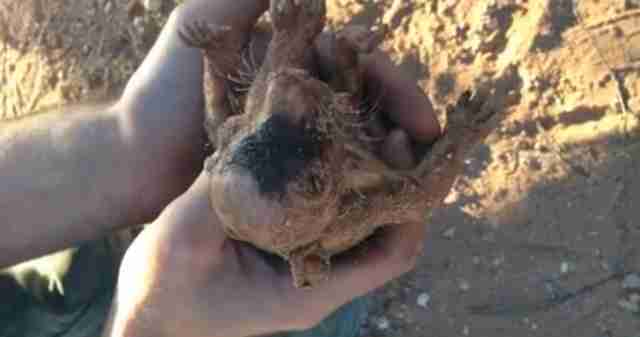 Kotze took a video (Warning: graphic content) while Dimasi carefully cut open the wombat's pouch and removed her tiny baby. Kotze and Dimasi took the baby home with them, where they washed him off and wrapped him in warm blankets. 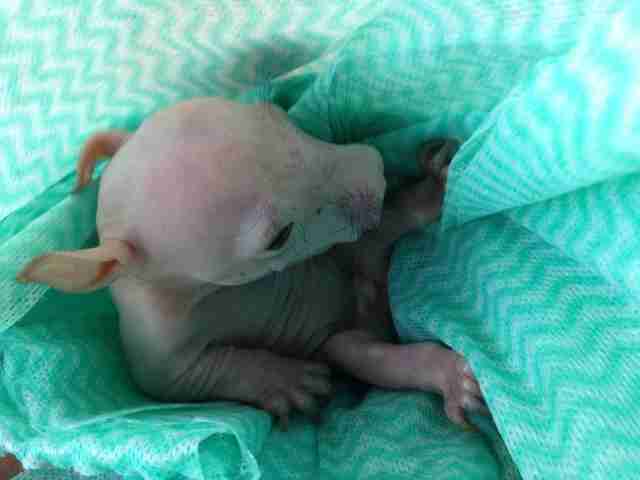 They delivered him into the hands of Fauna Rescue of South Australia, a nonprofit wildlife rescue. The baby wombat, now called Whisper, will be cared for until he's ready to be released into the wild. Jane Budich, a volunteer with Fauna Rescue who is now nursing Whisper back to health, told Australia's NTNews that Kotza and Dimasi did the right thing. "They did a brilliant job," she said. "I can't thank them enough for what they did and how they did it and how gently they did it." Thousands of wombats, kangaroos and wallabies die each year after being hit by cars on Australia's rural roads. If it weren't for Kotze and Dimasi's concern and quick response, Whisper the baby wombat would have become just another statistic. "had a unexpectedly amazing Saturday morning. Chris an myself are now proud fathers of 3 month old wombat"
"i would like to say if you hit an animal please move it off the road an make sure its not suffering."